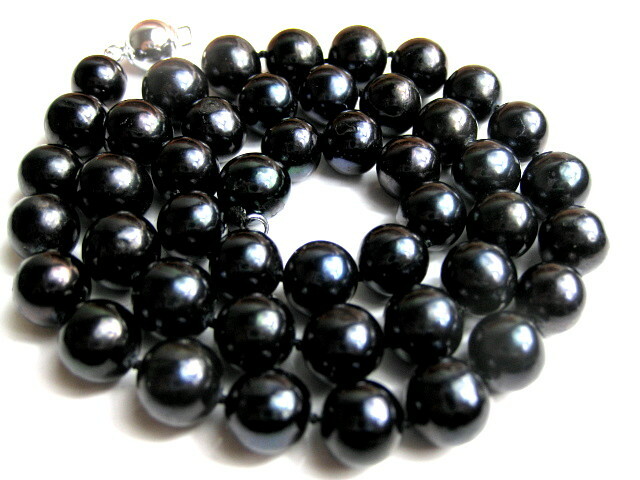 Welcome to Win Pearl Pearl Necklace Collection. Collar Pearl necklace: 12" - 13" , usually made by multi-strands and worn high on the neck, ideal to boat neck, V-neck, or off-the-shoulder fashions. Very popular style during the Victorian era, making a comeback now. Choker Pearl necklace: 14" - 16" , worn lower on the neck, appropriate from casual to formal eveningwear, classic and versatile pearl necklace. 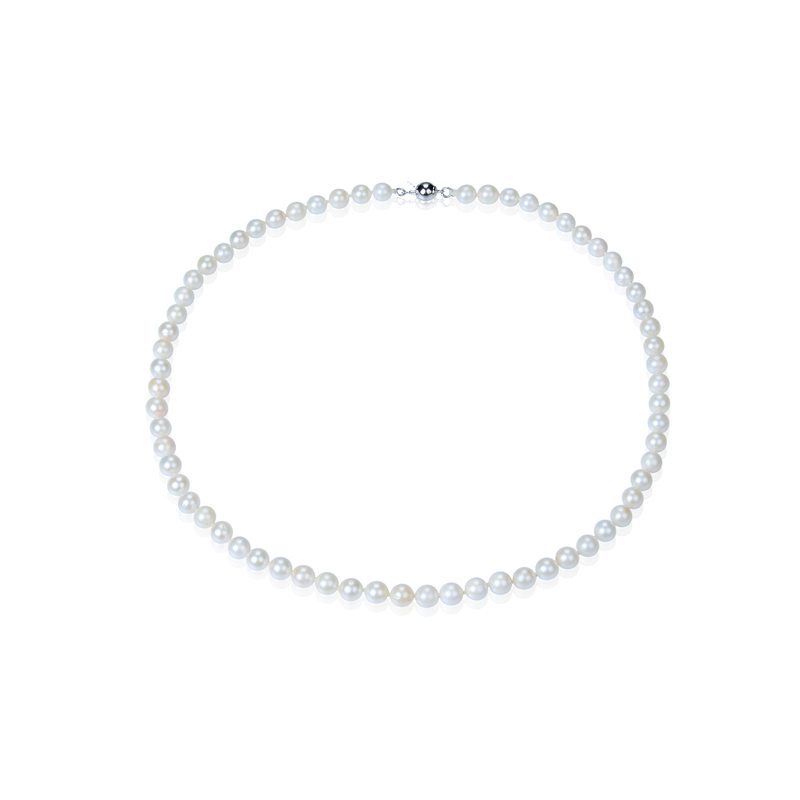 Princess Pearl Necklace: 17"-19" , the most common length of pearl necklaces, lying slightly below the neck, a versatile style, well suited for both high and low necklines. Matinee Pearl Necklace: 20"-24" , this length of pearl necklace works well with suits and dresses, looks best with high necklines and adds sophistication to a professional look. Opera Pearl Necklace: 30"-36" , traditionally worn with eveningwear, can be worn as a single strand or double strand, can also be knotted to create a stylish look. 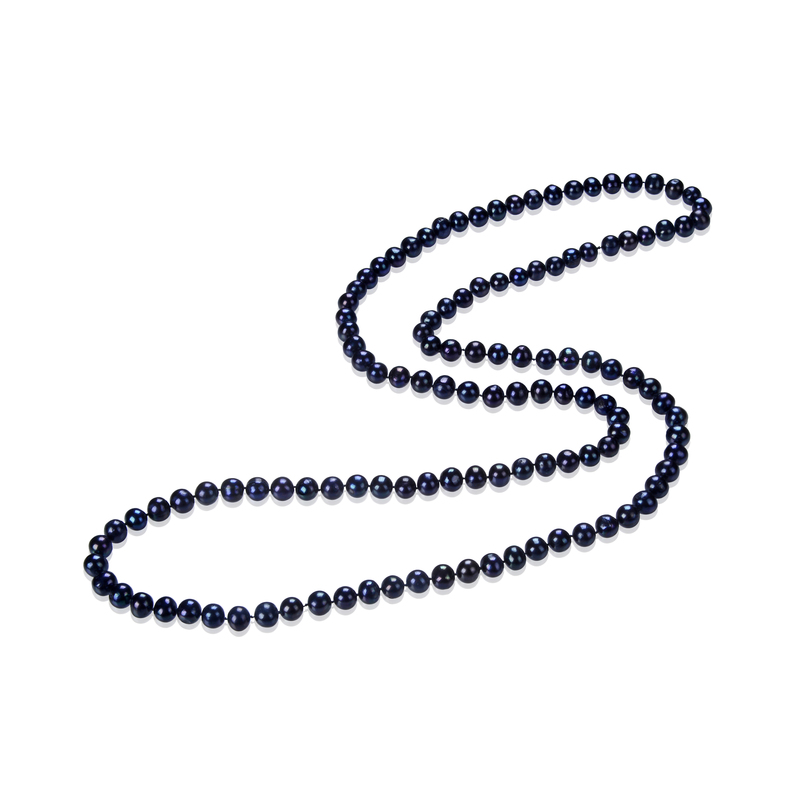 Rope Pearl Necklace: over 37" , this long pearl necklace can be worn as single, double or triple strand, can also be knotted for a fashionable look, this length of pearl necklace is very popular trend today.